Jersey Royal potatoes, lightly boiled, paper-thin skins on, then sautéd in butter. 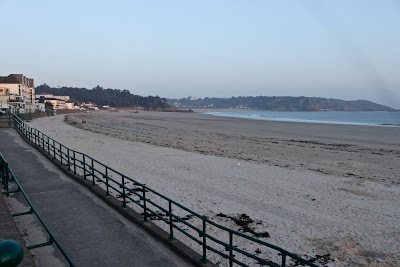 Jersey, is an island perpetually marooned in the English channel, lassoed to France one way and the UK on the other side. To the delight of its inhabitants, it’s always a couple of degrees hotter than the UK. My arrival during a stunning UK March meant that I was faced with what Jess Cartner-Morley, the Guardian fashion editor, calls ‘the tights crisis’. 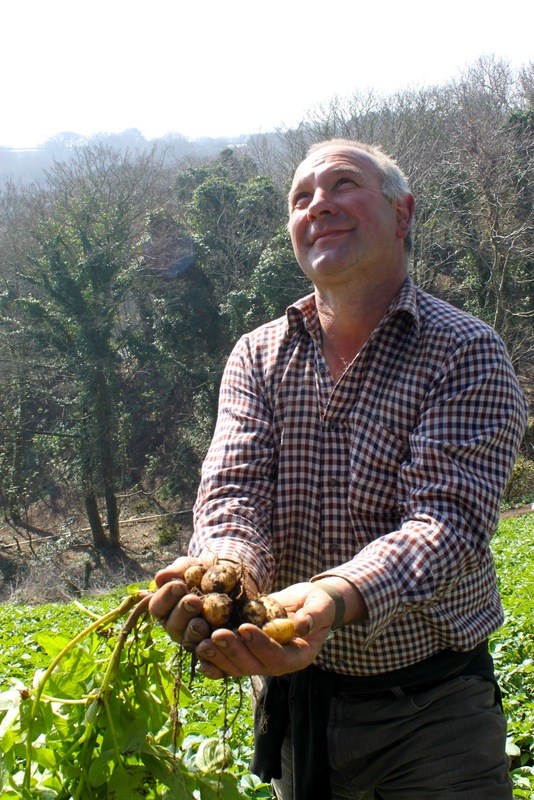 I was invited to find out about the champagne of the potato world, Jersey royals, grown by around 20 farmers on Jersey nowadays, down from several hundred farmers a few years ago. 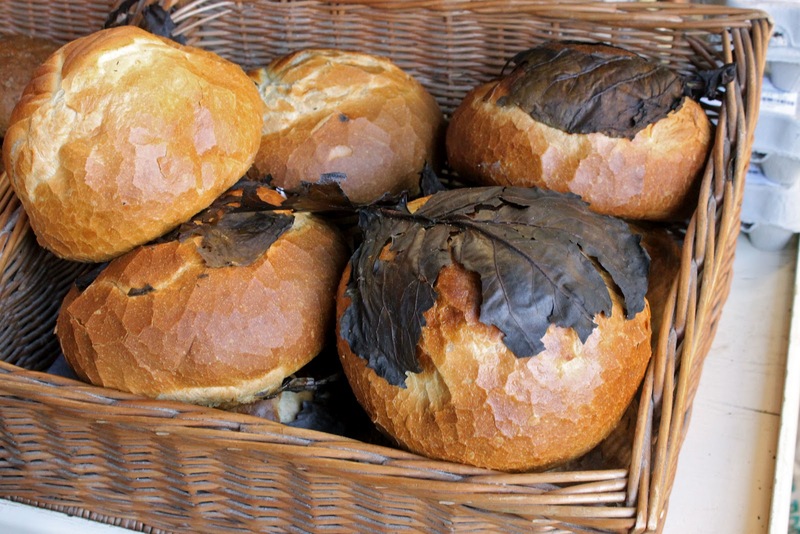 Cabbage loaves, a traditional Jersey bread, baked with a cabbage leaf on top and underneath to prevent burning. I spent a memorable morning on Christina and Didier’s farm on the raised North side of Jersey; the entire island tilts downwards towards the south, from craggy tall cliffs to wide white sandy bays. 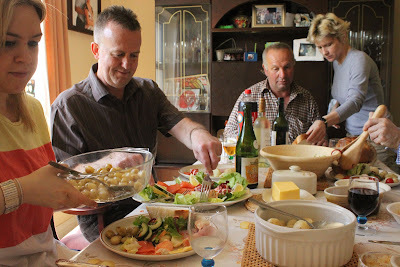 For lunch Christina gave us ‘cabbage’ loaves; refreshing sweet French cider, lightly petillante; Jersey cherry tomatoes; Jersey seafood including lobster and Jersey Royals cooked three different ways. Christina is adamant about “not crushing”; her preferred method of cooking is simple, boiled al dente, leaving on the thin skins, with a large knob of butter and a scattering of chives or fresh mint. The very tiny ones she sautés “Kids love them, I could never make enough of them. They ate them like sweets.” Didier sends packs of the new season Jersey Royals to his kids, at university in the UK. Didier’s parents came over from Brittany after the second world war; the next wave of immigrants were from another island, Madeira and today the labour intensive work is done by Eastern Europeans. 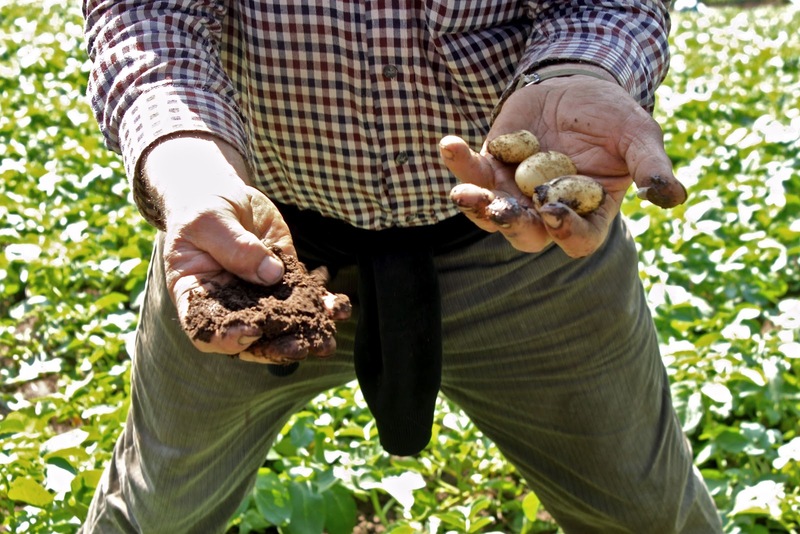 Jersey Royals are chitted, sorted, graded, planted, ploughed, each and every one, by hand on steep slopes or ‘cotils’, where it is impossible to use machinery. Jersey ‘beans’ (the name for the inhabitants, also ‘qualies’ and ‘crappos’, toads) are resourceful, every inch of land is cultivated. Each cotil is intimately known by the farmers; which ones suffer from frost, which earth is dry or wet, how sandy or loamy the soil is. The yield is often very low. Didier looks up towards the sky. The weather is never perfect for the farmer; right now the sun is fantastic, but they are worrying about the dryness. Each ‘cotil’ has to be watered via pipes where the rainwater reservoir pond at the bottom is pumped. This however is expensive in terms of manpower. “There’s nothing like rain”, says Didier. The farmer worries constantly about the weather. 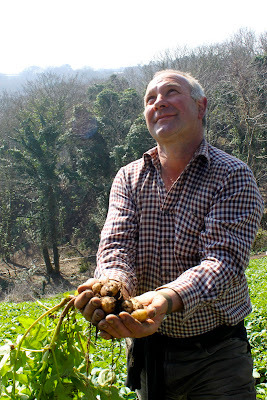 Didier even gets up in the night, if there is a chill, to wrap his Jersey Royals in fleece. Christina, despite receiving a tractor for her 25th wedding anniversary as a present, often feels neglected in the marital bed. She didn’t want to marry a farmer, but having met Didier on a night out, it was clear he was the one. But her children, she hopes, will do a better paid job, in the ‘professions’, with shorter hours. Out of the 98,000 population, only half of that is Jersey born and bred. 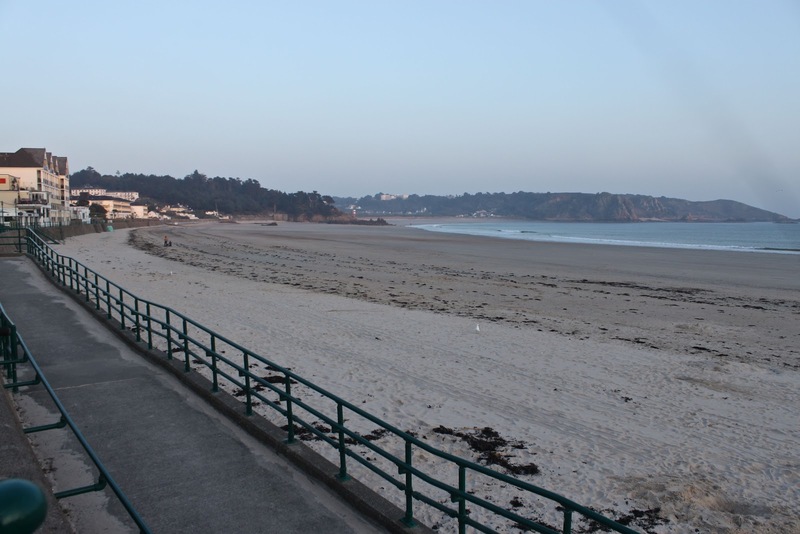 The younger Jersey ‘beans’ prefer to go to university in the UK, study law and finance amongst other subjects, only returning in their 30s when they decide to have families and settle down. Farming work is done by immigrants. In Jersey they control immigration by granting ‘qualifications’ giving the right to buy or rent housing, after a certain period of living there. (Hence the nickname ‘qualies’ for those who possess qualifications to buy a house on the island). 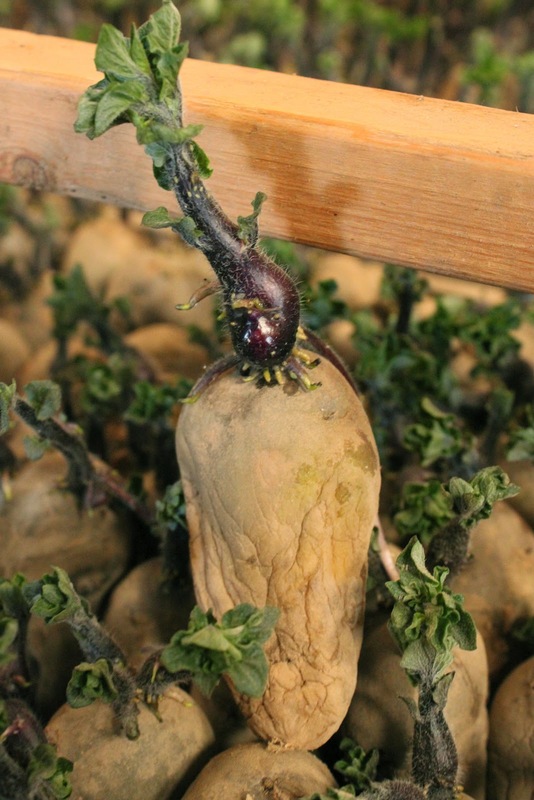 Jersey Royals, in ideal conditions, start at the end of March and last till the end of June. We are now moving from the indoor season to the short outdoor season. 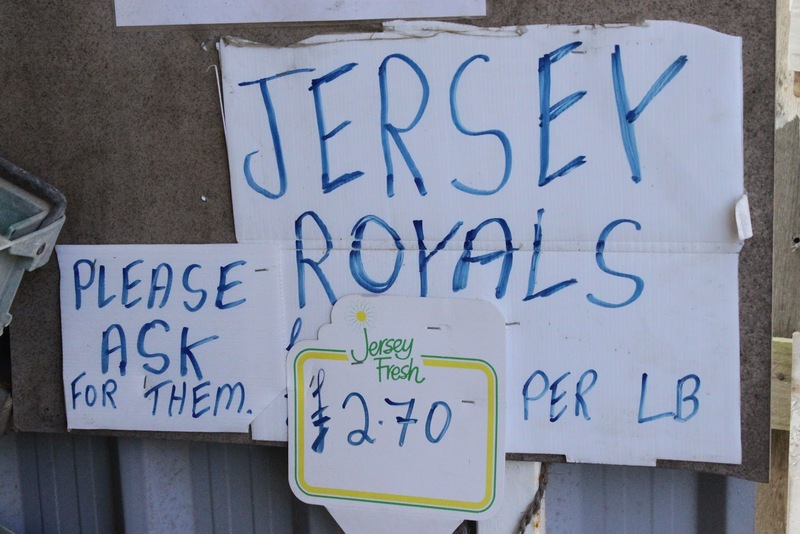 It’s an important crop for Jersey: fifty percent of Jersey’s export market is comprised of the royals. They command a premium price, but the UK is pretty much the only market, although the French market is being worked upon. 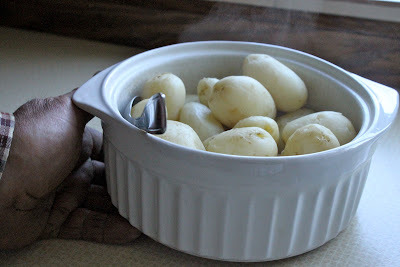 (I remarked that the skins might be a stumbling block to gaining popularity in France; I once cooked new potatoes, leaving on the skins, for Parisian friends who were horrified by this practice). Simply cooked à la vapeur, skins removed this time. A ‘seed’ potato for Jersey Royals, with the dark shoot (not white as is usual with chits, because these potato seeds are warmed up, not kept in the cool as is the case with normal potatoes, in order that they grow quickly once planted). 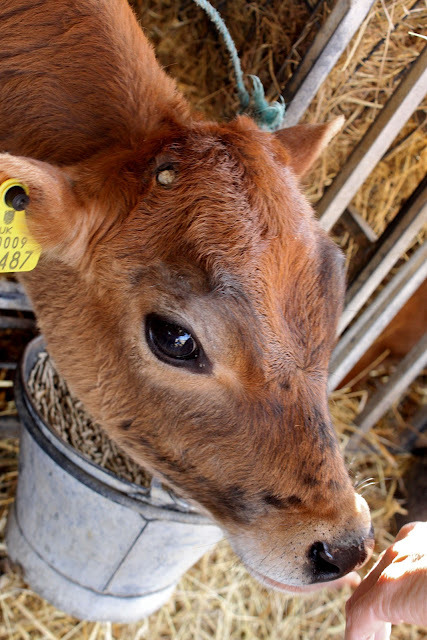 If you were to draw a cow for a children’s book, it would look like the doe-eyed Jersey cow, world famous for the creaminess of the milk. The first Jersey bull was sold to America for 60k, the equivalent of several million today. Jersey bull sperm is another export for the island. 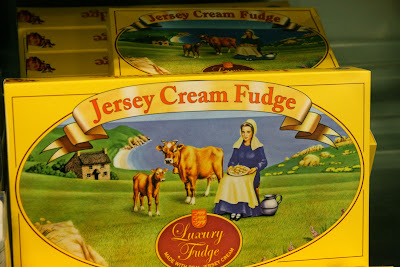 I love the retro seaside colours on these Jersey cream fudge boxes. The Jersey pottery makes bowls adorned with their famous spuds. 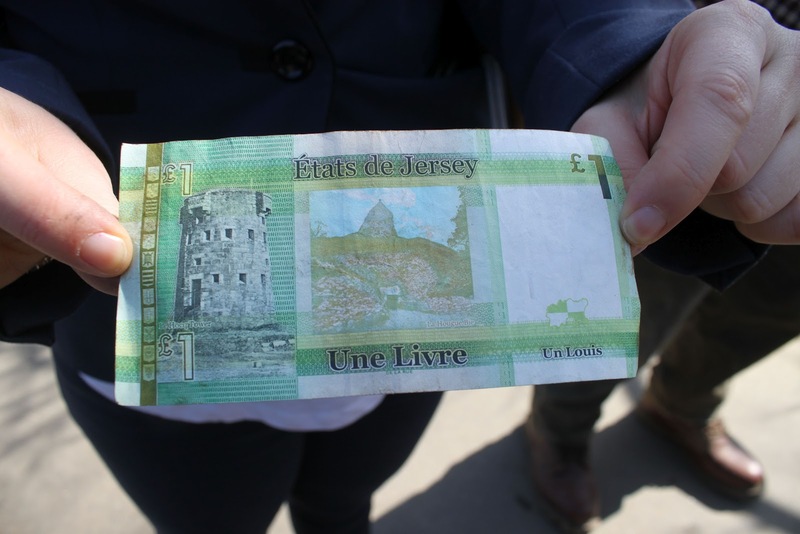 Jersey uses the British pound, and still has pound notes. 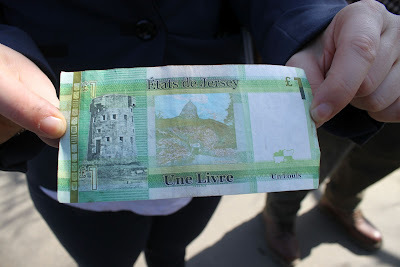 You can see the French influence in the words ‘Une livre’ (a pound), however. En route to the Jersey Royal cotils, we saw a dolmen where some shrines had been placed. 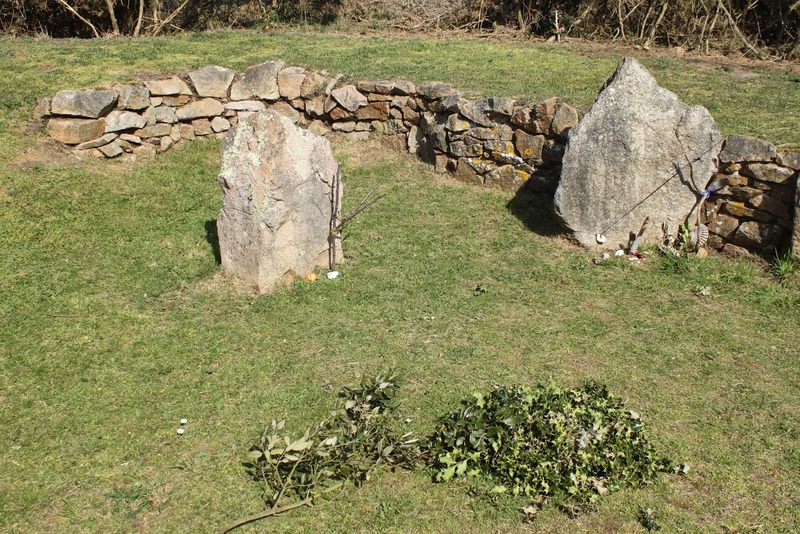 Jersey has a strong Pagan influence. But, as Michelin star chef Richard Allen remarks, who gave me a virtuoso demonstration of different ways to use the potatoes, the flavour is in the skins. 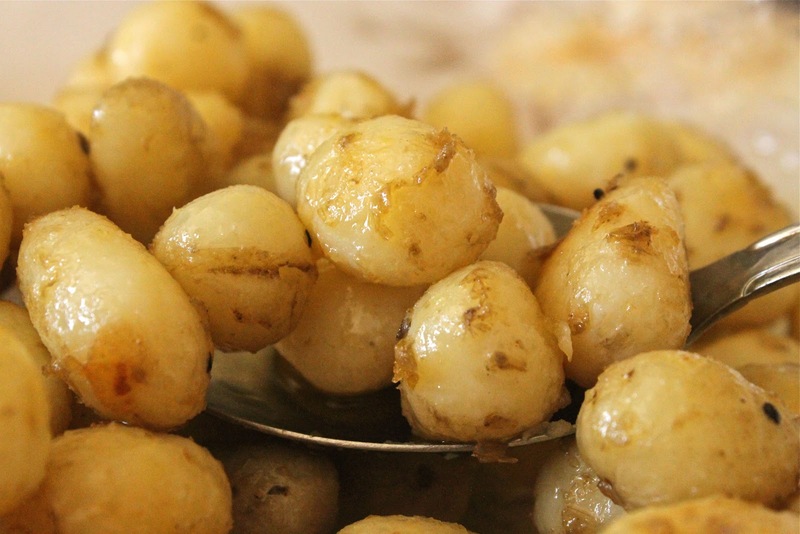 Jersey royals can have a slight coppery flavour just under the skins, which recalls ‘newness’, freshness and Spring (rather in the way that vinho verde wine does). 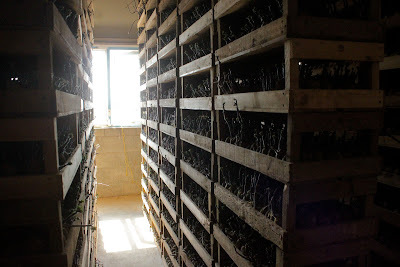 Their distinctive taste comes from the fact that they are mulched with seaweed or ‘vraic’. I was struck by the amount of work that goes into growing Jersey Royals. 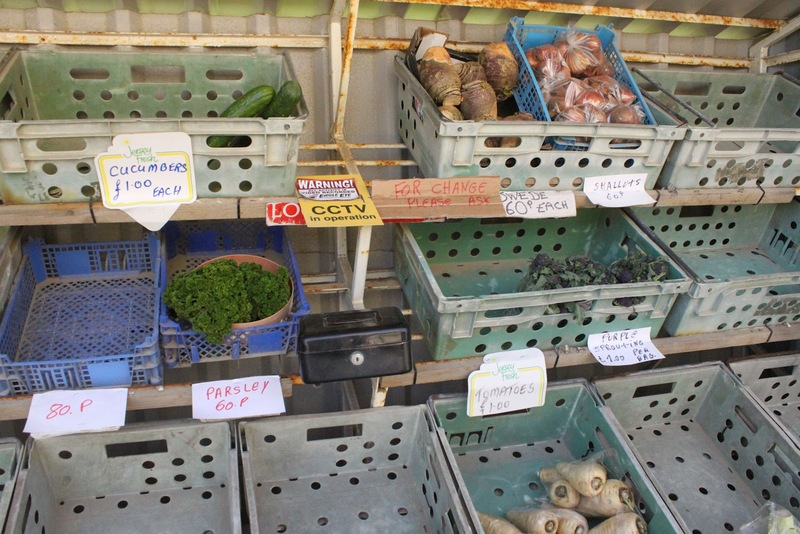 People don’t want to spend much on food, perhaps they regard it as a right, like water or air, but all good food requires many man hours, from growing to picking to storing and then again, in the preparation and cooking. Good food doesn’t come cheap. 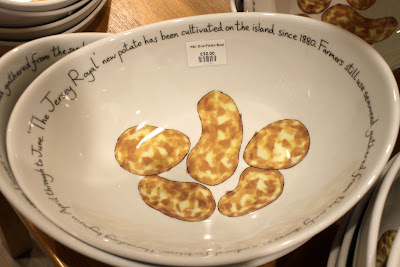 Great place (I've been there for holidays); great spuds! I live and work with Royals and cant wait until we get some. Often cook too many and fry up the remainder the next day! 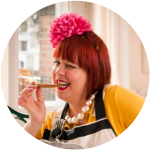 Love the post – I'm a food blogger originally from Jersey. Cabbage loaf doorstop sandwiches are AMAZING – the loaves are baked in traditional brick wood-fired ovens and the cabbage leaves seal in the steam to make a really chewy crust and fairly dense crumb. YUM. (And they don't taste of cabbage at all, I promise). I posted recently about Jersey Black Butter, another local delicacy that tastes far better than it sounds! Can't make it to your supperclub unfortunately which is a bummer – would have loved to come along! Such beautiful pictures. I did a story on Jersey Royals a few years ago and couldn't believe how steep those hills are! Such beautiful pictures. 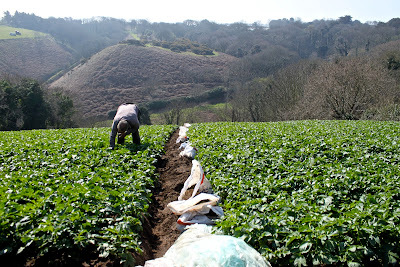 I did a story on Jersey Royals a few years ago and couldn't believe how steep those hills were. Kate: like the sound of cabbage loaf doorstop sandwiches! I may have a go at making my own cabbage loaves for the meal. Thanks Katy….incredibly steep, like farming on a cliff face! Wow, fantastic post! The jersey would be my choice during my visit, seems to be best seafood place, I wonder how a variety of food is cooked here by potatoes, my friends have gone many time, this time I am thinking to make a quick trip over there, may be soon, do u have any suggestion for best jersey restaurants. Hey! wonderful pictures and amazing Jersey Royal potatoes, i'm a big foodie and I would just love to taste those cabbage loaves. They surely sound delicious….Definitely going to try them this time I visit Jersey.